How much time do your kids spend in front of a screen every day? Chances are, it’s more than you think. According to the American Academy of Pediatrics (AAP), today’s children spend an average of seven hours every day in front of some kind of screen, be it television, tablet, e-reader, or cell phone. That’s practically a full-time job. So, how can you reduce the exposure to electronics, and get your kids to exercise more? Let’s take a look. There’s a good reason why the late Steve Jobs severely limited screen time for his own children, says an article in the New York Times. He was well aware of the harmful effects of tech gadgets on developing minds. The article states that other tech giants have followed in his footsteps, even banning electronic devices for their kids during the week, and limiting use on weekends. What do these tech leaders know that many parents don’t? They know that most of the time, technology can do more harm than good for children. Today, screens are taking over for toys that have entertained and taught children for hundreds of years. A study published on CNet found that touch-screen play has now eclipsed all other forms of play for children, including dolls, blocks, board games, arts and crafts, and imaginative play. Screen exposure in young children can also affect language development. A study published by the Hospital for Sick Children in Canada, and cited by Time Magazine, found that for every 30 minutes of screen time, there was a 49% increased risk for expressive speech delay. Another problem with all this exposure is that it’s impossible for parents to constantly monitor what their children are watching. According to a BBC article, one in five children said that they’ve seen something on their devices that upset them. Screens also expose children to violence at a young age, and this exposure can have devastating effects of their development. 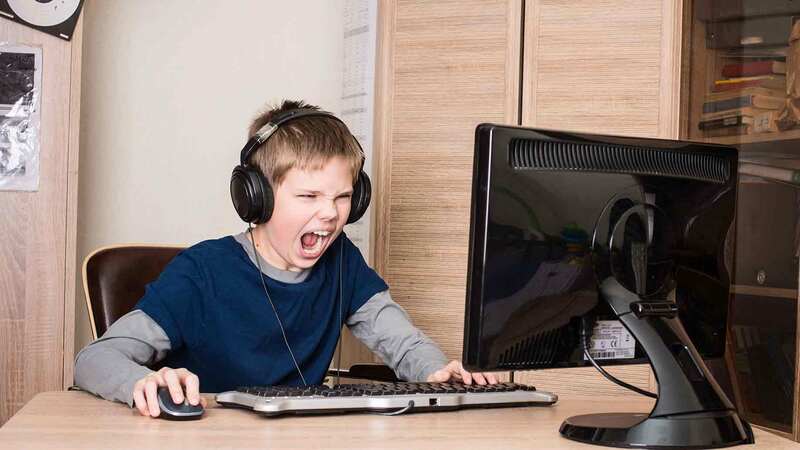 A 2007 study published in the journal J Youth Adolescence found that teenagers who are regularly exposed to violent video games or shows are more aggressive and more likely to argue and fight with their peers. Too much screen exposure at a young age can permanently affect brain development. Psychology Today interviewed Dr. Aric Sigman, an associate fellow of the British Psychological Society and a Fellow of Britain’s Royal Society of Medicine, who states that young children need specific stimuli from the outside environment. Screens can’t mimic the way a child’s brain processes a mother’s voice as she tells a story, or how a child’s brain visualizes pictures. When those essential skills are not used often enough, they can become permanently stunted. Spending time in front of a screen instead of interacting with other humans can affect a young child’s ability to be empathetic, possibly permanently. The flashing lights and colors, as well as the immediate reaction that children get when playing a game, increase the level of dopamine in the brain. Dopamine, the “feel good” chemical, is highly addictive, and children can learn to prefer the “quick fix” feeling of electronic interaction over the less intense – but more rewarding – long-term, human interaction. As you might imagine, all this electronic exposure is a boon for marketers. Today’s children see more ads than any other generation in history. This, in turn, turns them into consumers at an incredibly early age. Parents pay for this exposure when children beg and whine for food, toys, and other items they see on the screen. Not only is this annoying, it’s also expensive. And it can lead to a constant cycle of acquisition and dissatisfaction that can manifest in dramatically increased spending habits in adulthood. How Much Screen Time Is Appropriate? The American Academy of Pediatrics takes a staunch stance when it comes to screen exposure for children aged two and younger. This group should not be watching anything on a screen at all, even when the program or game is labeled “educational.” The AAP found that children learn best from live interactions with adults and other children, not a screen. Children aged 18 months and younger are especially vulnerable to screens; they’re easily overstimulated, and the lights and sounds from a television, even when they’re not looking directly at the screen, can quickly overload their system. Screens can also negatively affect the relationship between parent and child at such a young age. Parents that stare at a screen instead of interacting with their child deprive young children of their attention. Over time, this can negatively affect the parent-child bond and lead to other issues. Children aged two to five should watch an hour or less of high-quality programming per day. Pediatricians clarified “high quality” programming to include shows like Sesame Street and other shows on PBS Kids. The AAP doesn’t define set limits for children aged six and older. They advise parents to monitor media use and set consistent limits based on how they feel their children are doing. Media should not take the place of physical play, or cut into other activities essential to good health, such as sleeping and mealtimes. It’s important to realize that using electronic devices can be beneficial for children aged two and older. These devices can help hone language skills, increase coordination, and sharpen reaction time. Some apps and games can also help older children build creativity and express themselves. However, too much exposure does more harm than good. If you feel your children are engaging in too much screen time, there’s a lot you can do to limit their exposure and transition them to other activities that might offer more benefits. The old business adage, “What gets measured gets managed,” aptly applies to your children’s media use. So, start tracking how much time your kids are actually spending in front of a screen. 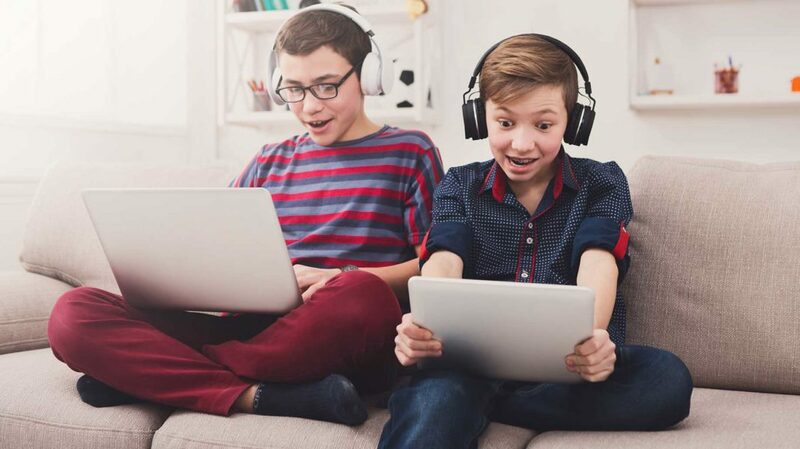 Begin in the morning, and monitor how much exposure your children are getting from any screen, which includes television, laptop or computer, or smartphone. Write down how much time your child is spending in front of each device, and what they’re doing. Track their use over several days in order to get an average. Then, you’ll know for sure if your children are getting too much, or just the right amount, of exposure. Having fewer available screens in the house will make it harder for your children to watch and play on these devices. First, don’t put a television in your child’s bedroom. According to the National Institutes of Health (NIH), children who have a television in their bedroom watch 1.5 hours more television per day than those who don’t have a set in their room. Cell phones and tablets should also charge in another room, such as the kitchen. This will prevent screen exposure after bedtime, as well as late-night wake-ups when a text or alert comes through. If you want the safety and security a cell phone offers, consider getting your child a standard flip phone that doesn’t have access to the Internet. Your children watch what you do all the time. This is why it’s important to set a good example, and limit your own screen time. According to WebMD, a parent’s smartphone use can negatively affect their children’s behavior. Children can feel snubbed when a parent is always gazing down at their phone instead of at them. This, in turn, can cause them to act out in order to get attention. To curb your own screen time, turn off your phone or leave it in another room when you’re playing with your children. Be conscious about how often you’re checking texts or social media during the day, and make an effort to limit or avoid these activities entirely when you’re with your kids. When you give your children your full attention, they’ll respond with better behavior. And, they will find it easier to curb their own technology use when they see you doing the same. Going cold turkey and implementing a no-screen policy is another option. I have two toddlers, and what worked best for us was to eliminate the television entirely. We stopped watching TV years ago, and now we’re so used to doing other things, it’s hard to imagine going back. I’m also strict about other electronic exposure. They don’t play with tablets, laptops, or cell phones, ever. This might sound extreme to many parents, and this no-screen approach won’t work for some families. However, there’s a distinct advantage to starting a no-screen policy. My kids have grown up in an environment free from the noise and distraction of a television that’s always on. They turn to traditional toys, such as blocks and construction vehicles, to keep themselves entertained. Will the no-screen approach work forever? I’m a realist, and I know eventually they’ll need to use technology for research and homework tasks. However, my hope is that by then they will have developed enough to have a healthy, balanced relationship with technology, respect it as a tool, and then turn to books, friends, or free play for entertainment. Children that spend a lot of time in front of a screen playing games or watching movies often don’t get enough physical activity. Children who get enough exercise sleep better, have fewer behavioral problems, and are able to focus better than those who don’t. So, how much exercise do your kids need? School-aged children need 60 minutes of moderate- to vigorous-intensity exercise every day. 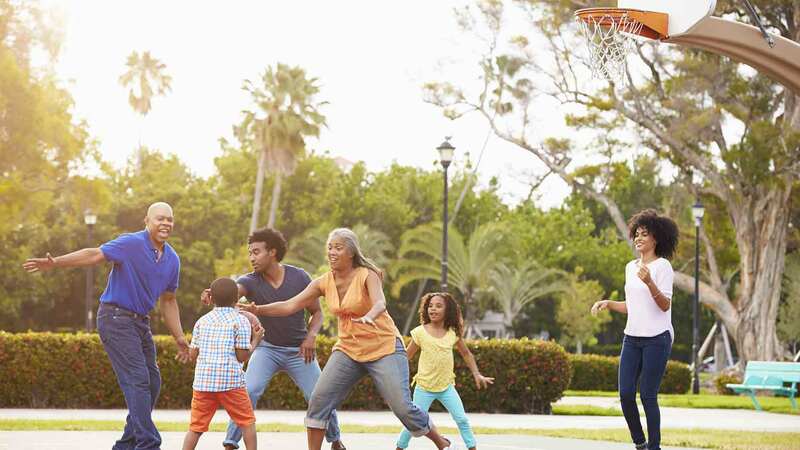 A study published in JAMA Pediatrics states that children who are physically active have increased cognitive function compared to their inactive peers. To get your kids to exercise more, start by being a good role model. Involve them in your own exercise routine by exercising at home, doing yoga, or going on fast daily walks. If you can, buy toys that encourage exercise, such as a trampoline, or invest in group exercise classes like swimming. You can also work active time into your children’s screen time. For example, when you’re watching a show together, come up with ways to move during commercial breaks. Get up and stretch, race each other down the room, or have a push-up contest. Watching shows can be an opportunity for families to spend time together and just hang out. And, there are plenty of shows and games that are beneficial to children. But how do you know what’s good, and what should be avoided? They also include reviews written by parents and, in a separate category, reviews written by children. 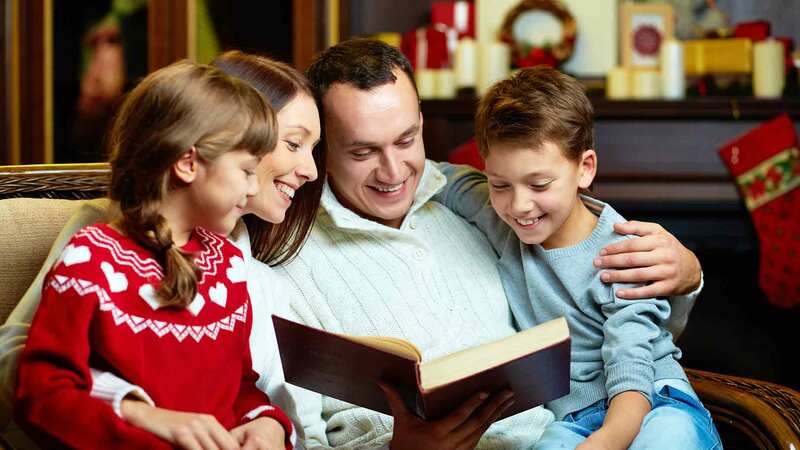 You can also check Parent’s Choice, which analyzes children’s toys, mobile apps, software, books, DVDs, TV shows, and video games, and then awards the best in each category with the coveted Parent’s Choice Award. This is a great way to find quality children’s programming (as well as great toys and books). Every family is different. Some of the tips above will fit well with your children and routine, while others won’t work at all. It can help to come up with a specific plan that outlines when you and your children will use media, when you won’t, and what you’ll do instead. You can create a custom media plan for your family at HealthyChildren.org. Technology continues to play a bigger and bigger role in our society, and with good reason. Technology is amazing: It connects us to people around the world, it gives people a voice who might not otherwise have one, and it can expose us to viewpoints, opportunities, and ideas we might never have encountered. Children need to be exposed to these opportunities and ideas. But they also need parents to set boundaries so they have the time and freedom to do things kids are supposed to do, such as build friendships with other children, play outside, and use their imagination. Do you feel your children get too much screen time, or just enough? If you think they’re getting too much, how have you set limits? What worked, and what didn’t?